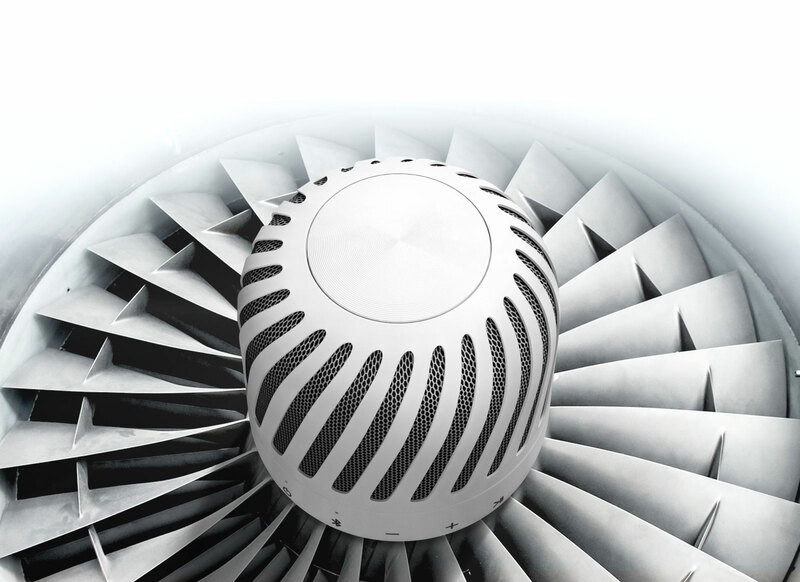 Designed to resemble a jet turbine, the blades help deliver rich crisp and non-directional sound. 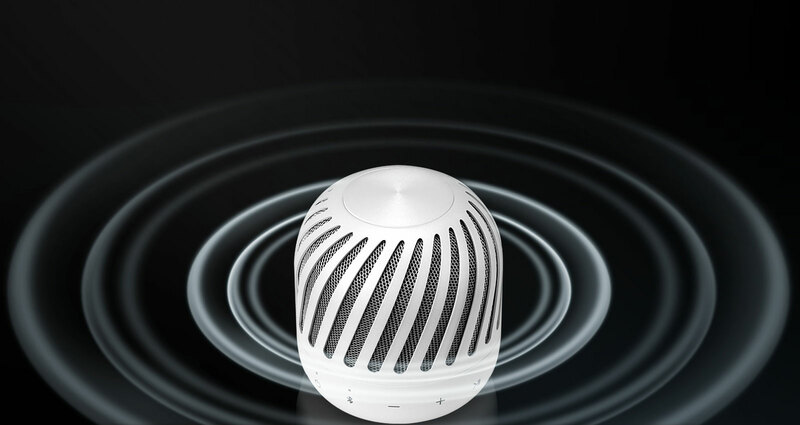 Passive radiator creates bass that you wouldn’t believe could come from such a small speaker. 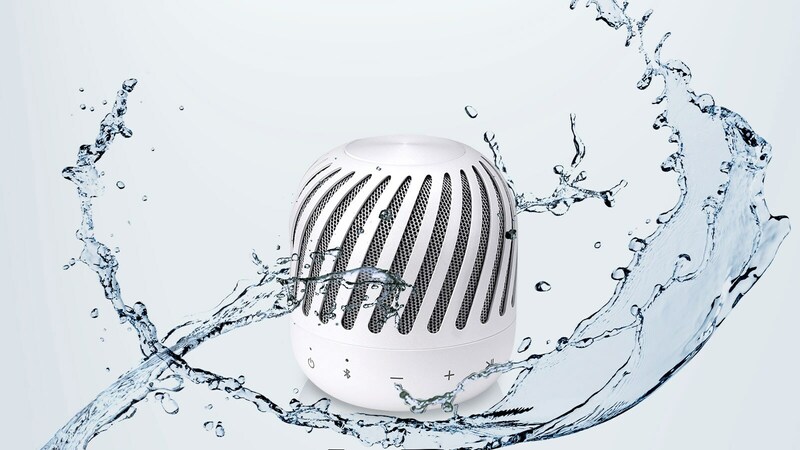 Water resistant capability means you can relax even when there’s water around. 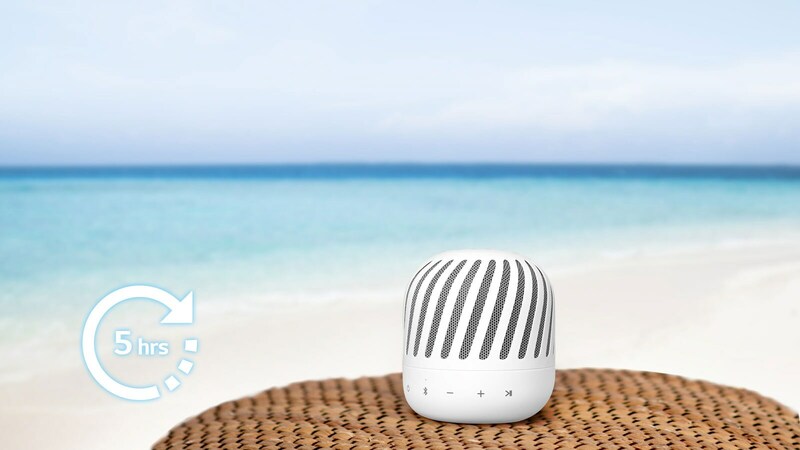 With a rechargeable lithium-ion battery, enjoy 5 hours of audio playback. 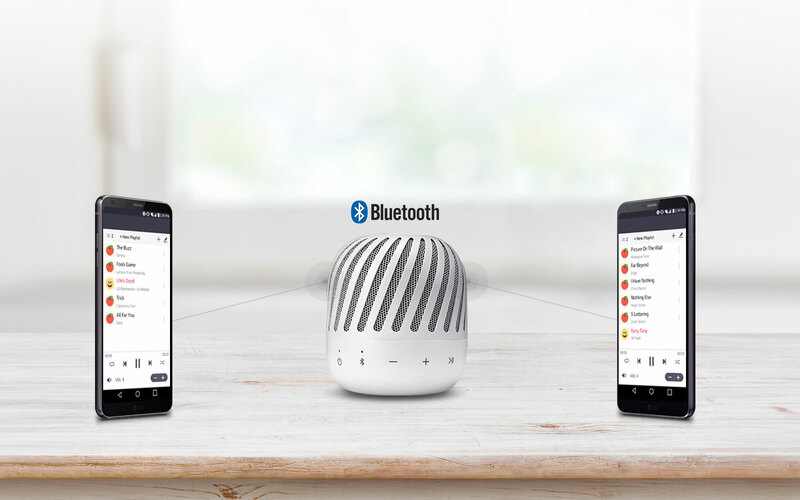 Connect 2 Bluetooth devices simultaneously, so that both you and a friend can alternate and choose the music. It’s more fun when everyone gets a say. The music pauses when a call comes in. 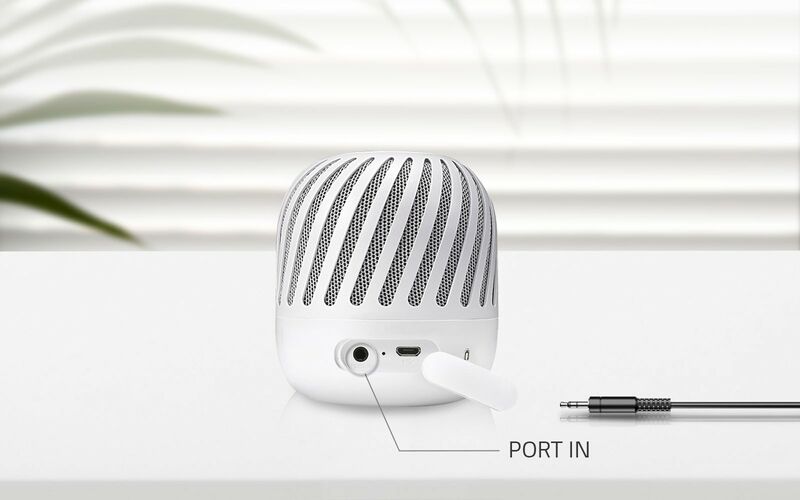 Hold a conference call using the speaker’s built-in microphone. As the call finishes, the music will start right back up again. 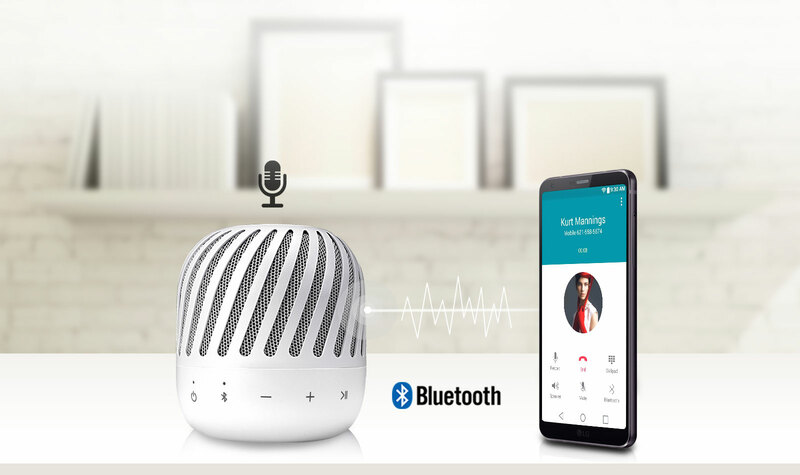 Not just for Bluetooth devices, it can also connect to MP3 or CD Players.